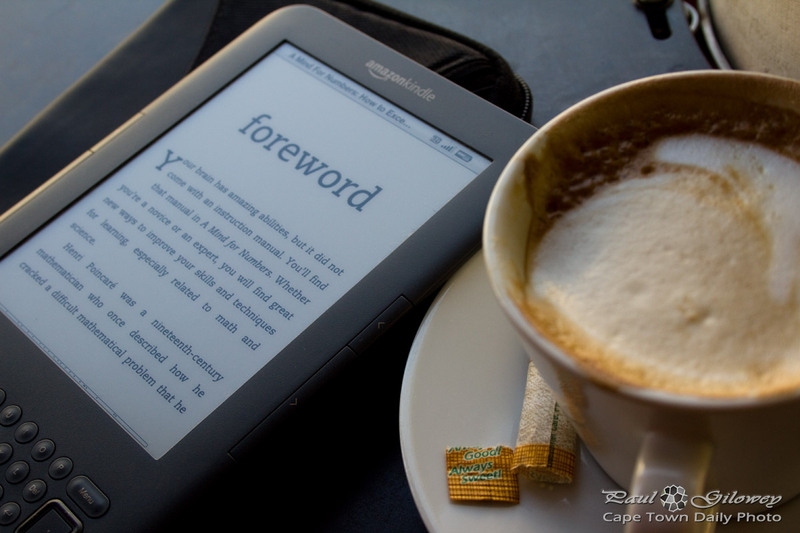 Posted in General and tagged books, coffee on Friday, 13 February, 2015 by Paul. 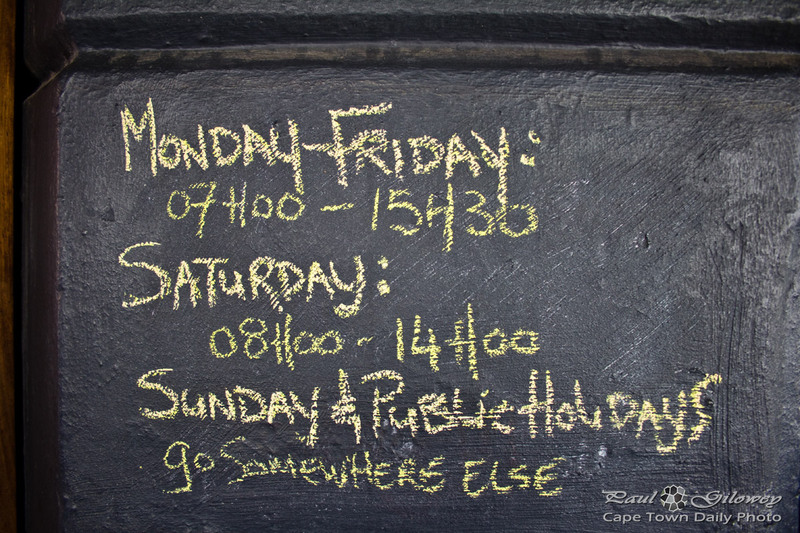 No really, they aren't open on Sundays or public holidays. Which is a real shame for those of us who don't work in the city. Totally understandable though Jason... you and your staff also need a break. 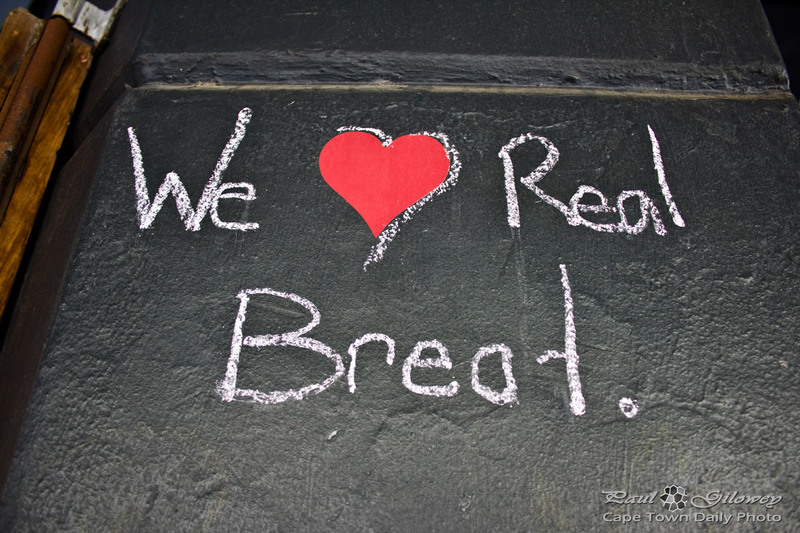 Posted in General and tagged bakery, coffee, restaurants, signs on Tuesday, 20 January, 2015 by Paul. Posted in General and tagged bakery, breakfast, coffee, restaurants on Monday, 19 January, 2015 by Paul. Posted in General and tagged art, coffee, restaurants on Friday, 7 November, 2014 by Paul. 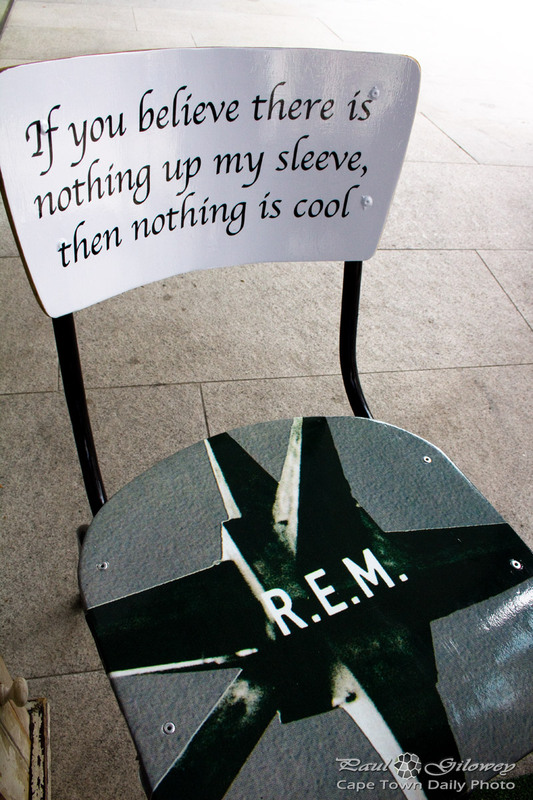 The chairs at Hard Pressed Cafe in Cape Town are decorated with vinyl album covers and lyrics. Pretty awesome idea hey? FWIW, their coffee was pretty good and reasonably well priced - and we enjoyed the salmon and poached egg breakfast tremendously. They have many '90s vinyls for sale, although many of the used ones are somewhat scratched and the new ones seem overpriced at just under R500. Posted in General and tagged coffee, restaurants on Wednesday, 5 November, 2014 by Paul. Posted in General and tagged coffee on Friday, 10 October, 2014 by Paul. Not only was Shift's coffee in par with Origin and Truth, but the service was pretty damn amazing. 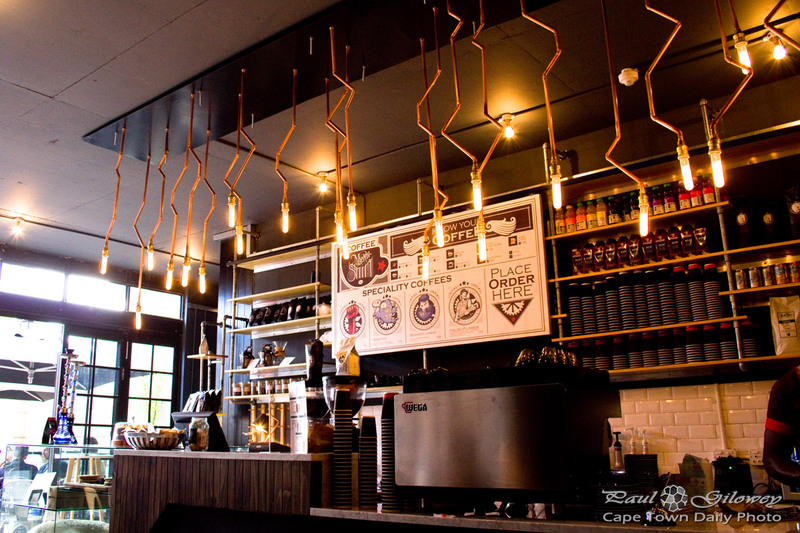 I've found that other artisan coffee bars I've frequented tend to have mediocre (even poor) service, whereas Shift (located in the Cape Royale Hotel building on Somerset Road) has superb service. You should try them out. 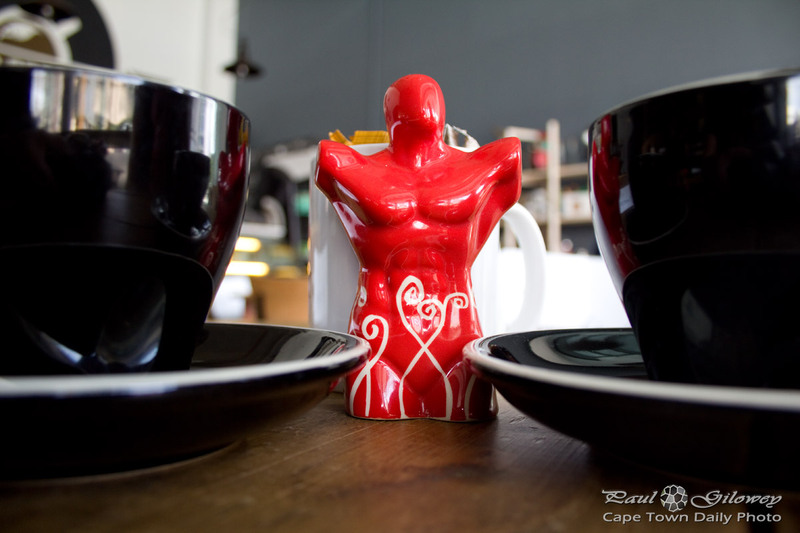 Posted in General and tagged coffee, green point on Thursday, 9 October, 2014 by Paul. 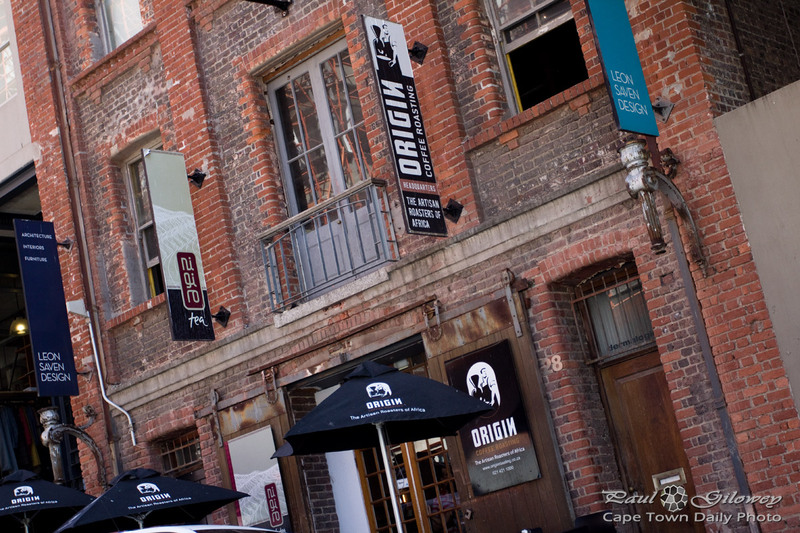 I don't often have the opportunity to visit Origin Roasting in Cape Town, but every time I do it makes me realise how easy it would be to become addicted to their flat whites if I lived in the city. They really are that good. Besides for the taste, what I really appreciate is that they don't make their drinks in tiny 3-sip coffee cups - they use respectable-sized cups that don't make you immediately regret not ordering two at first order. Posted in General and tagged coffee, restaurants on Tuesday, 8 April, 2014 by Paul. 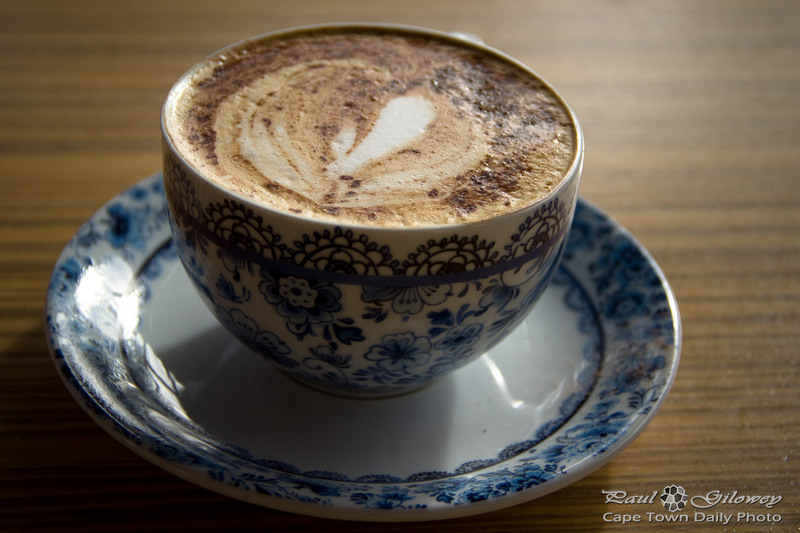 I ordered cappuccino at Beleza - and this is what arrived. Don't you love the cup? It actually does make a difference what you drink your coffee from. As a side note, the coffee was pretty (in fact, really) good. 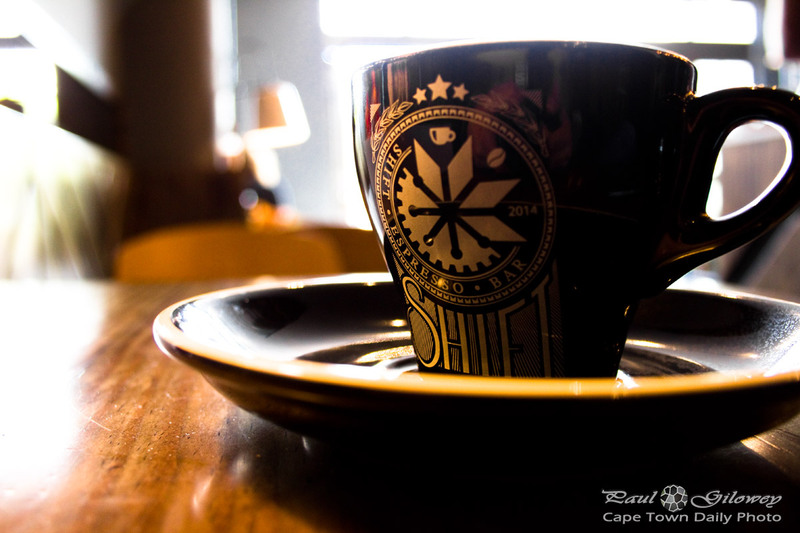 In fact, I found myself wondering if it was Origin Roasting's coffee (which I still judge to be the best locally roasted coffee in Cape Town). Posted in General and tagged coffee on Friday, 7 March, 2014 by Paul. 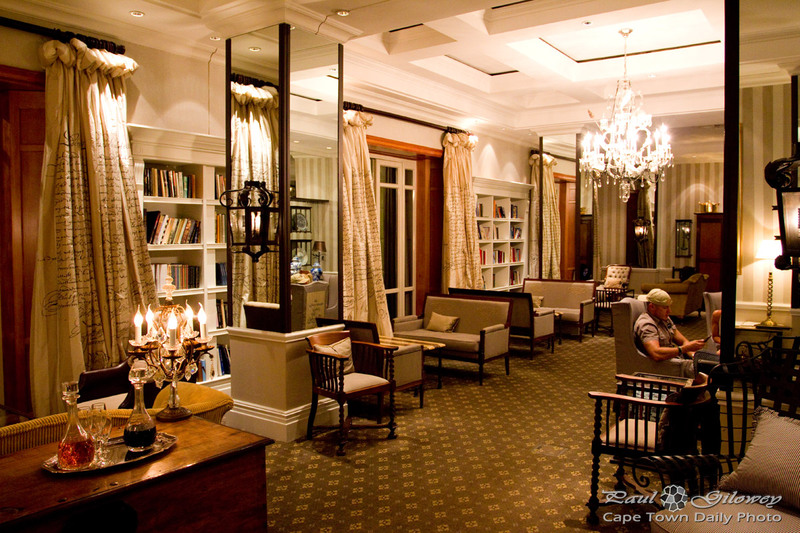 If you'd like to go out for coffee and dessert, but don't feel like noisy crowds of people - visit the Cape Grace hotel. Their coffee's pretty good, and the dessert is simply divine. Posted in General and tagged coffee, dessert, hotels on Tuesday, 11 February, 2014 by Paul. 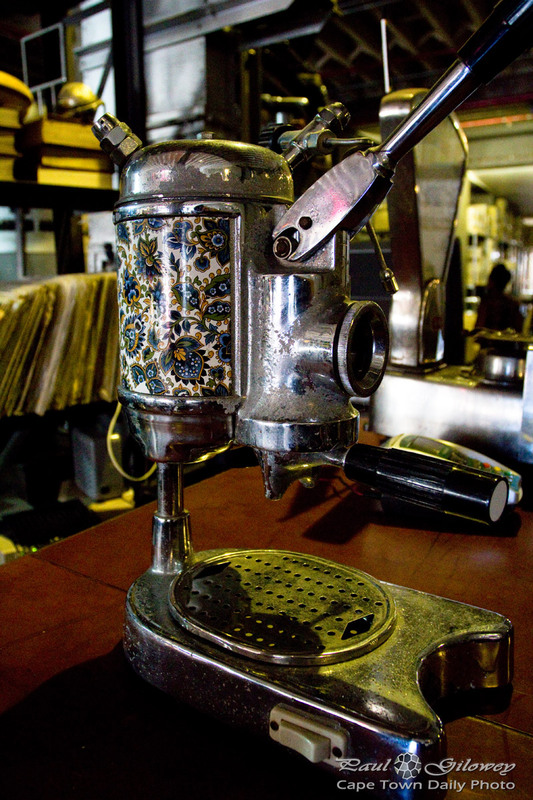 For the sake of general knowledge and trivia, did you know, the first steam espresso machine was developed and patented in 1884 in Italy by one Angelo Moriondo? That's not so long ago, now is it? 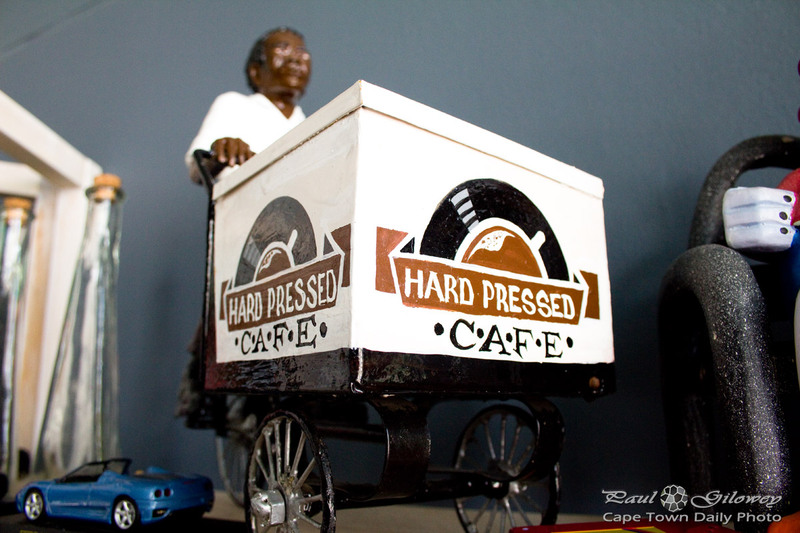 I found this gem at Truth Coffee Roasting, a popular coffee shop in Buitenkant Street. I'm sure it's no longer in use - they do, after all, have far more sophisticated espresso machines these days. But still, it's quite pretty - don't you think? Posted in General and tagged coffee, machines, restaurants, shops on Sunday, 26 January, 2014 by Paul. Okay, I apologise Jake, I caught you off guard. 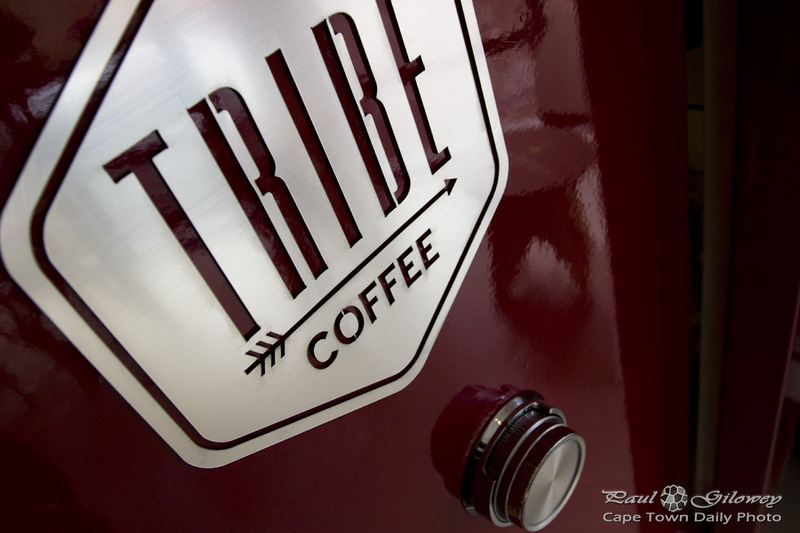 :) Jake meet everyone, everyone meet Jake - roaster extraordinaire at Tribe Coffee Roastery in Woodstock. Tribe recently launched their Tribe Winter Drive campaign to collect used clothes, blankets, and anything else warm you may not be using. Nope, not for themselves, for the homeless; those people who sleep outdoors in this crazy weather we're having. In exchange for your gifts, they'll provide you warm smiles and a steaming cup of Jake's handiwork - nice heh? 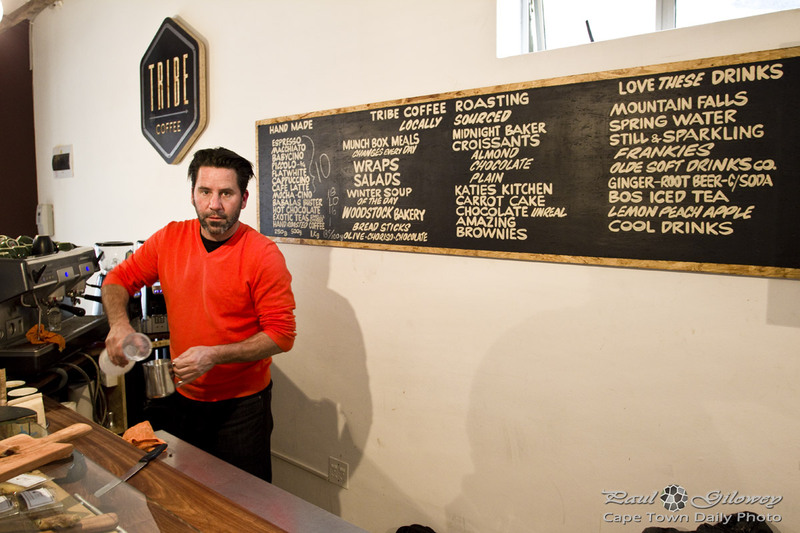 You'll find Tribe at 170 Albert Road in The Woodstock Foundry. 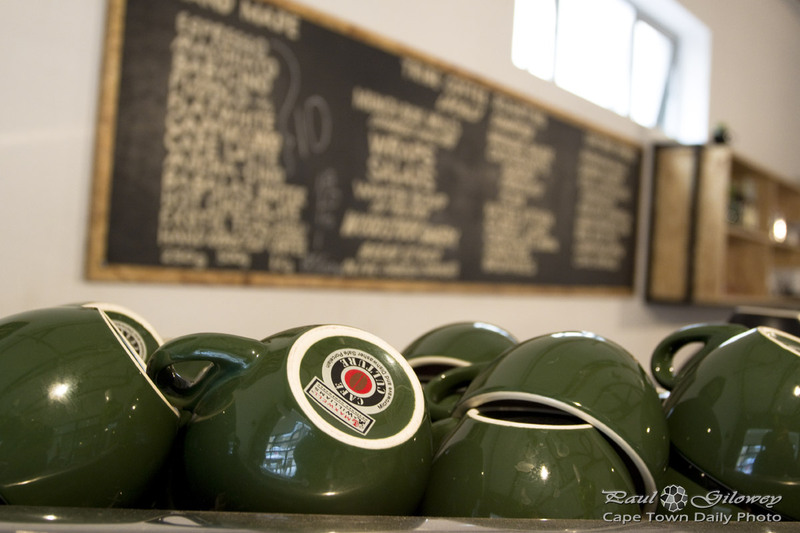 Posted in General and tagged coffee, woodstock on Thursday, 6 June, 2013 by Paul. Now in retrospect, I really think I should have bought a bag or two of coffee while visiting Tribe. My work-mates would have appreciated that. Darn. Posted in General and tagged coffee on Monday, 27 May, 2013 by Paul. I wouldn't have thought I were a coffee snob - given that I drink plentiful amounts of cheap instant coffee, which (to be fair) I admit isn't coffee at all. But, it is true, I'm somewhat picky when it comes to coffee. In fact, I keep a mental journal of restaurants and coffee shops that serve up the vilest brews, and often end up avoiding them entirely, or (at the very least) make sure that I remember not to order their coffee. 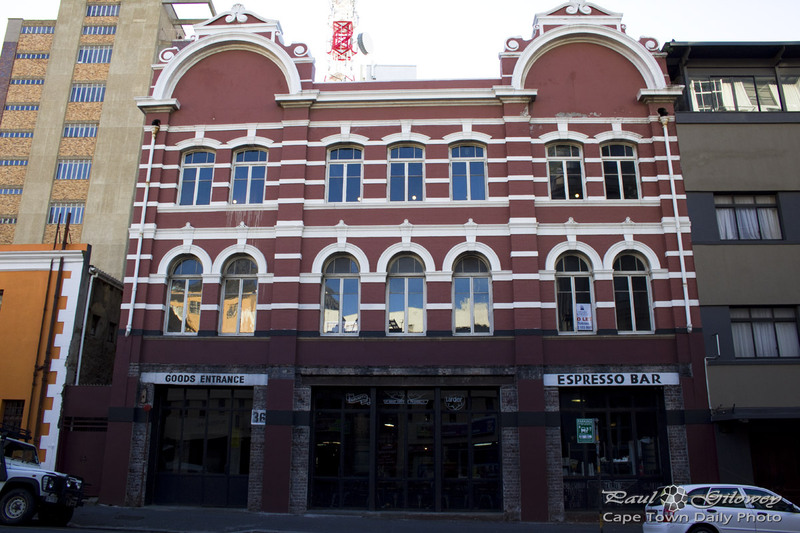 You'll find Tribe at 160 Albert Road in Woodstock, just a little down the road (and within walking distance) from The Old Biscuit Mill. Posted in General and tagged coffee on Sunday, 26 May, 2013 by Paul. This either used to be Truth's espresso bar, or still is. I'm not sure. This photo, taken by @RelaxWithDax only a couple of months ago, shows the Truth name and logo on the front of the building. It is no more... do you suppose Truth has moved on? Posted in Street photography and tagged buildings, coffee, restaurants on Monday, 10 September, 2012 by Paul. 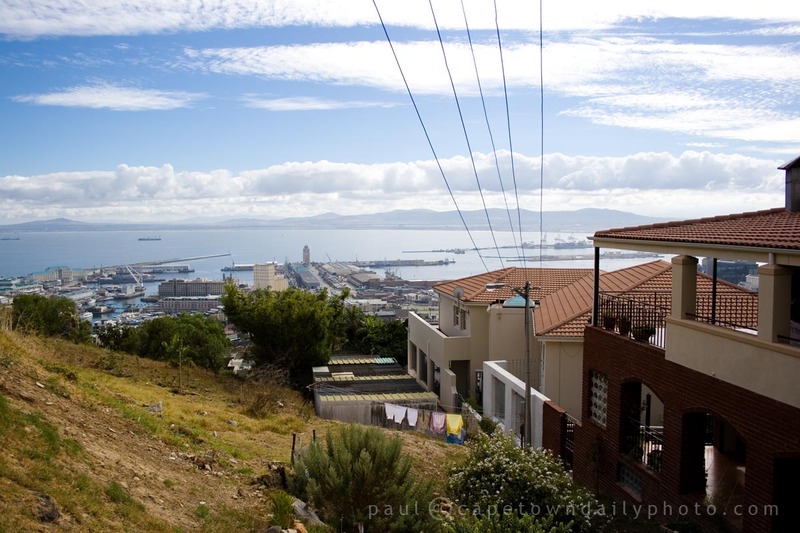 If you drive up Signal Hill, through Bo Kaap, you'll come across a small parking area (map) that shares this view of the city and of Table Bay. There's not much here except for an interestingly strange coffee shop (apparently the Noon Gun Tea Room) that was closed on a perfectly good afternoon. The coffee shop aside though - isn't this just the perfect location for a home? Posted in Landscape and tagged coffee on Sunday, 18 April, 2010 by Paul. 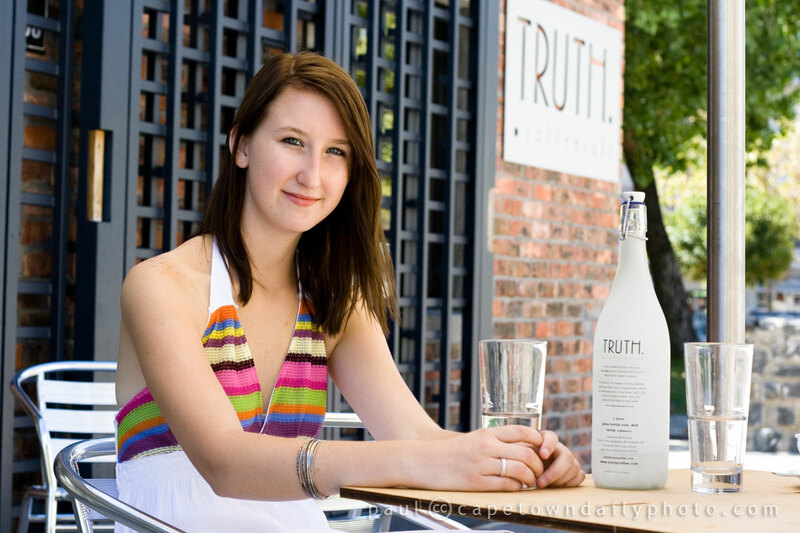 Truth Coffee opened its doors just off Buitengracht Street a few months back, and eventually, after wanting to visit for so long, and hearing reports of how awesome the coffee was, I decided to inaugurate the first "Treat-a-friend-to-coffee day", and experience the legendary heavenly drink. Posted in General and tagged coffee, girls, people on Saturday, 27 February, 2010 by Paul. 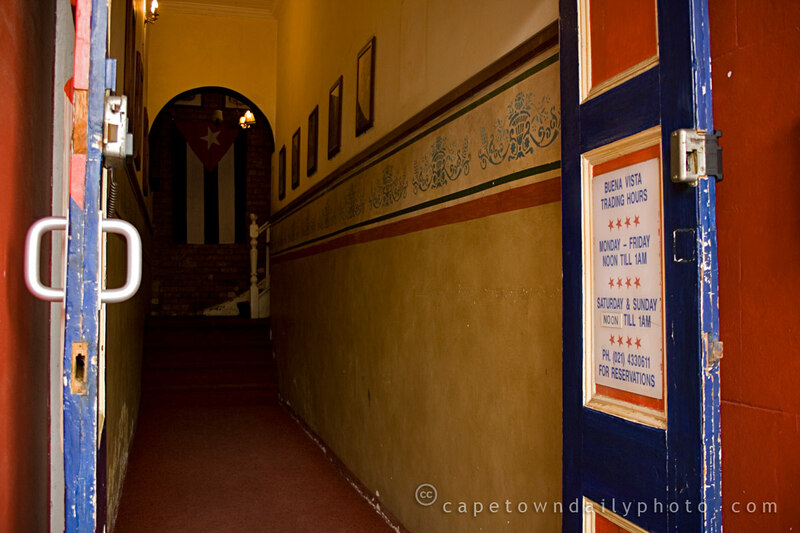 We met a friend for coffee at Buena Vista Social Cafe, a Cuban-themed restaurant in Green Point. The decor is what I'd expect to find in an old Cuban bar; the best part of all is the old leather couches and chairs - like those you'd expect to find at your grandmother's house - making up a corner lounge-area, where you can enjoy drinks without having to sit at a table. Buena Vista is a really nice place to visit, and if you've never been there before you should make a turn (and try the lamb and feta nachos!). Just be warned that the restaurant doesn't have a non-smoking section (which I thought wasn't allowed these days), so if you have an allergic reaction to cigars and cigarettes then best check that there aren't too many people smoking when you arrive. Now that I think of it, perhaps the reason they're able to get away with a fully-smoking restaurant is because of the Cuban theme - you kind of expect to see people smoking cigars in a Cuban bar, don't you? Posted in Activities and tagged coffee, food, green point, restaurant on Monday, 20 April, 2009 by Paul. To be honest, I've never seen this brand of coffee before, but I'd bet that if I asked my parents they would remember it from many years ago... possibly before I was even born! The word "Raadsaal" means "Council Hall" if you translate it directly... which I guess is an odd name for a brand of coffee. 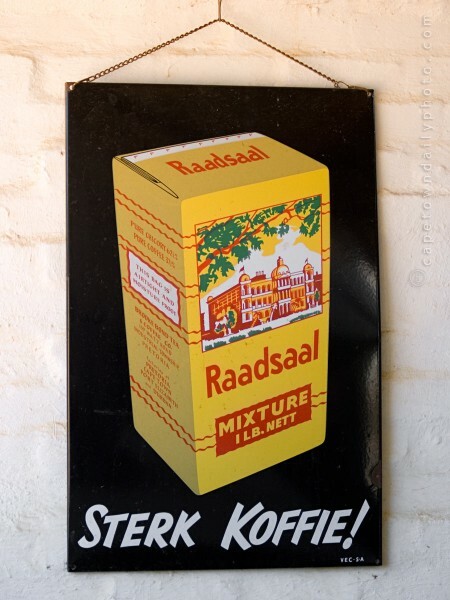 Strangely, if you zoom in you'll be able to read that the manufacturer of this traditional-Afrikaans-sounding coffee brand is an old British company, "Brooke Bond Tea & Coffee Co". Posted in General and tagged coffee, history, sign on Thursday, 19 March, 2009 by Paul.